I was trying to back away from reviewing ambient releases for a while because there are just way too many releases in this style to review all the time. And, with so many releases coming out, I find it’s a bit difficult to judge the content of each release. And, honestly, this has caused me something of a dilemma. If all releases had the evocative ambient drones of Ralf Behrendt, this wouldn’t be nearly an issue for me. However, they don’t, and I find myself questioning if most ambient releases are really music. Especially the releases that are more drone / noise oriented. See, I’m not convinced that many of these artists are musicians. That is, I don’t think many of them could pick up a another instrument and play it with any proficiency. Don’t take that the wrong way, that doesn’t make these works any less. They are still excellent compositions, created by artists. However, it does lead me to think that they are a different style of work that one may not classify as music per se. So what are they? I’ve been pretty consistent in using visual imagery of painting and sculpting. I’ve talked about the tone, texture, and color of the sounds. Which I don’t even know if I am using in a sufficient way. Given my lack of formal knowledge of painting and sculpture I can only guess at how to apply the terminology to sound recordings. So, why do I go back to reviewing ambient releases? Well, if you listen to the pieces on Cloud State you will understand why. The two pieces on this release are exactly what I enjoy hearing. ‘The Sun Whistler’ is a 43 minute epic long-form drone piece, comprised mainly of metallic overtones that seem to shimmer as you listen to them. They fade in and out, and build gradually along the way, as if you were listening to a sunrise. ‘Alcyon Moment’ is a 33 minute long-form piece that is slightly darker with a bit more white noise, and occasional haunting / eerie voices and animal sounds. It almost feels like being lost in a maze or caves with sounds echoing around you. While it’s scary in some ways, it’s more creepy and eerie overall. And, occasionally there are samples of other musical instruments. Another way of thinking about this piece is the caves are like a dream, and the voices and instruments are fleeting fragments of memories. And that’s why I can’t stay away from this release: the intense artistry that went into producing these pieces. Ralf Behrendt didn’t just put some drones through a mixer and call it a work. There is intense form and structure to these pieces, they are conceptual works as much as they are audio sculptures or paintings. Every note, and every sound is carefully selected and built upon. And, that’s what draws me back to ambient works: when there is invention and creativity that captures my imagination. 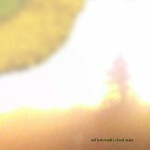 Evocative ambient drones grab my ears and make my brain escape into new lands. It’s one of the reasons I write reviews, and not writing about this release would have been a disservice.